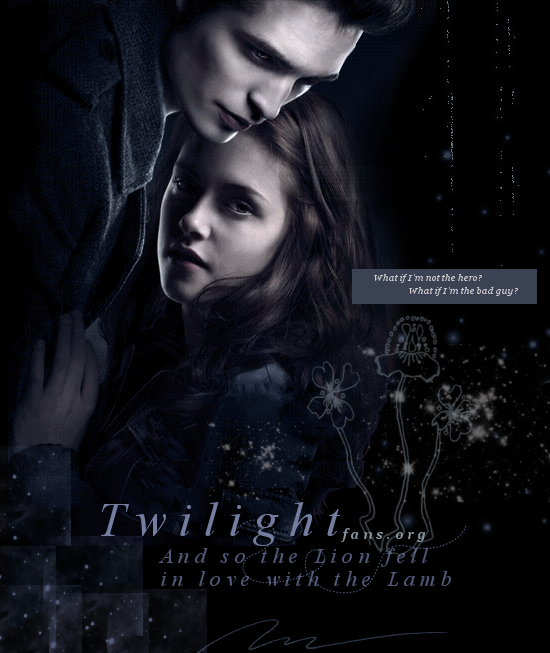 ... to And so the Lion fell in love with the Lamb - the fanlisting for the movie TWILIGHT. If you're a Twilight fan, be sure to show your support for the movie by grabbing a button if you own a site and adding your name to the world-wide list of fans! The fanlisting is a part of TheFanlistings.org & TheMovielistings.org and is listed under the Movies category. April 20, 2009: We added several new affiliates today! February 5, 2009: We added some more donated icons today! February 4, 2009: This isn't exactly new news, but the DVD for Twilight is scheduled for release on March 21, 2009, and if you're one of those people who rather shop online, be sure to get your copy at Amazon.com! The Soundtrack and Score have been available for purchase for a while! Below is what the DVD cover is going to look like. January 23, 2009: Clo� Beaudoin, a singer-songwriter, who is also a Twilight fan, has written and sings Rest In Peace, a song inspired by her favorite book in the series, New Moon. To listen to the song, please go here. January 12, 2009: We added all the donated buttons and icons today! :) Thank you for the donations! December 19, 2008: Welcome to our 10 new affiliates! :) Thank you for the nice compliments, we appreciate them! December 15, 2008: I think I died a little when I got the approval email for the fanlisting! I wasn't expecting to have a chance at all, so I didn't believe it when I opened my email and found it sitting there. I read it a few times just to make sure I wasn't seeing things, and then I waited a couple of days before starting on the fanlisting, in case it turned out to be a mistake. I didn't want to take any chances, but it's really mine! As some of you know, Kelly is a huge Twilight fan, so I asked her if she'd like to co-own it with me and she said yes! Anyway, the website is launched, the finished form has been sent, and the fanlisting is open and ready for members! A fanlisting is simply an online listing of fans of a subject, such as a TV show, actor, or musician, that is created by an individual and open for fans from around the world to join. There are no costs, and the only requirements to join a fanlisting are your name, email address and country. Fanlistings do not have to be large sites (although some are) - they are just a place where you can have your name listed along with other fans of the same subject. Best viewed in Firefox with a 1024x768 resolution. Also tested in IE and Opera. 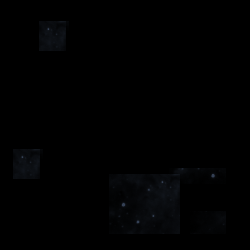 This site is an unofficial fansite and has no connection with the Twilight series, Stephenie Meyer, cast, crew, or anything else. We're just here to show the love for an awesome movie.